Moving along the checklist Jane and I found ourselves in need of a couple of wedding rings. Not knowing a great deal about rings it seemed logical to return to the jeweller from whom I bought the engagement ring some months earlier. Actually the man I bought the engagement ring from is not a jeweller as much as a diamond wholesaler who had been recommended to me by a friend at work. The man (Zorro) has been in this family business all his life and operates one of the few remaining jewellery workshops where they design and make high quality rings and jewellery for stores around Sydney. He doesn’t actually have a shop front or regularly see individual clients unless they come recommended so I was glad he was recommended to me. Zorro sees his work with individual clients as more of a favour towards them and not really a business transaction so in selecting an engagement ring he was not in any way pressuring me to buy a particular ring or stone. It was also good to go back to him as Jane’s ring turned out to be a quarter size too big and he was able to have one of his jewellers both resize and polish it on the spot! Turning our focus to the wedding rings Zorro brought in five or six trays of various designs and shapes. He began by giving Jane a few options to try on; some were a plain band and others were half plain and half encrusted with small diamonds. The half diamond band did indeed look very nice and it complimented well the single stone in the engagement ring and for a brief moment Jane’s eyes lit up in appreciation of the combination. I say for a brief moment because Jane has always envisaged our wedding rings to be plain matching bands. And although I was encouraging her to decide on the half diamond ring there was something also in my mind about us having plain matching bands. It may just be something sentimental but it seems like wearing matching bands better speaks about the unity of the couple. However on the other hand (excuse the pun) I would also like Jane to have something a little more precious and beautiful than a plain band. As we speak she is making up her mind so we shall see what she decides upon. My ring was not so complicated. Zorro offered a few options for me but the differences were mostly in width so once I had chosen one at the slightly wider end of the spectrum he had it sized for me right then and there. It just needs polishing and it will be ready to go! I think I am looking forward to wearing a wedding ring. I really like the idea of having on my finger, for all to see, for all time, this sign of who I am. It is a strange custom when one thinks about it for a while. In so many cultures this round band worn on the finger indicates that the person wearing it has committed their life in marriage to another. How many other symbols are so very universal? 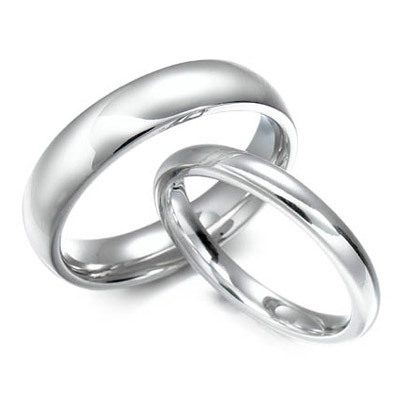 Christians may wear crosses and Sikhs may wear a headscarf but across religions and nations this simple ring is worn by married couples, “as a sign of my love and fidelity”. Sometimes I pay special attention as I walk around to the people wearing wedding rings and I find it heartening. If you look closely you will notice cleaners in shopping centres, news readers on TV and fast paced businessmen wearing wedding rings. And even if they themselves forget for a time, they are stating with that ring that there is someone whom they have chosen to love in a specific and life-giving way. Seeing a person wearing their wedding ring is heartening because it reminds all of us that marriage is important not just when together with one’s spouse, but all the time. The ring shows that marriage is not a nine-to-five job but it is more fundamental to who a person is. My ring will say to those who know me and those who do not that “I am a husband” and so I will look forward to wearing it as truly a sign of my love and fidelity to Jane. Posted in Uncategorized and tagged engagement, marriage, proposal, wedding, wedding bands, wedding rings. Bookmark the permalink.